I need to make some slight adjustments, but this cosplay is basically done. izumitastic Wow! You make such a perfect Korra and the costume looks fantastic. Great photos, too! day_dreamer0612 Ah, so you're the awesome Korra cosplayer I've been seeing on Tumblr! 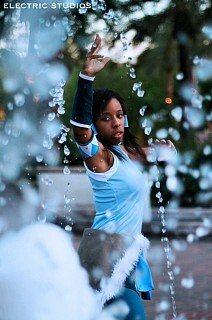 This is really fantastic and you make a great Korra! zaffie Quick question: What fabric did you use for her vest? Thanks! Lawlietuser FTW Perfect cosplay! I love the noodle shot!